Shanghai-based private equity fund Lunar Capital Management has acquired a majority stake in Sichuan Zhiqiang Group, the once-prominent walnut producer that later emerged from bankruptcy. Lunar Capital paid US$50 million, including the buyout fee and capital injection, and the firm will be renamed Sichuan Zhiqiang Food. Derek Sulger, a partner at Lunar Capital, said it took 18 months to seal the deal, from initial market research, due diligence to signing the papers. Sulger said he and his partners were undaunted by the company's troubled financial history. Founded in 1995, the company was known as the 'king of walnuts', but was also known for lavishing tens of millions of yuan on advertising campaigns, before going bankrupt in 2003. The brand was still recognised in the country as the leading producer of walnut-based products, Sulger said, adding that it just needed professional management and a second chance to unleash its potential. 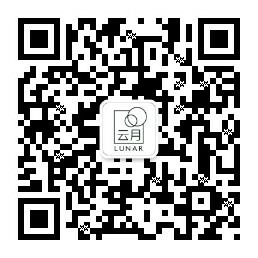 Lunar Capital would seek to retain the brand's local flavour rather than try to internationalise its outlook, he said. It will also invest in research and development for new products, as Chinese believe that walnuts are nutritious and can aid memory. Sulger will chair the company, and Simon Liu, a former managing director of the mainland branch of Hong Kong beverage company Vitasoy, will be the chief executive. Chen Jiazhu, a Shanghainese entrepreneur who injected 50 million yuan (HK$61.4 million) into the company in 2007, will remain a significant minority shareholder. 'Chinese companies don't just need us to provide capital. They need our expertise,' Sulger said.